The RAS47, is our premier stamped AK rifle and includes multiple upgraded features over foreign made variants. The RAS47 is stamped from 4140 steel that is nitride treated and has a chrome moly 4150 nitride treated barrel. 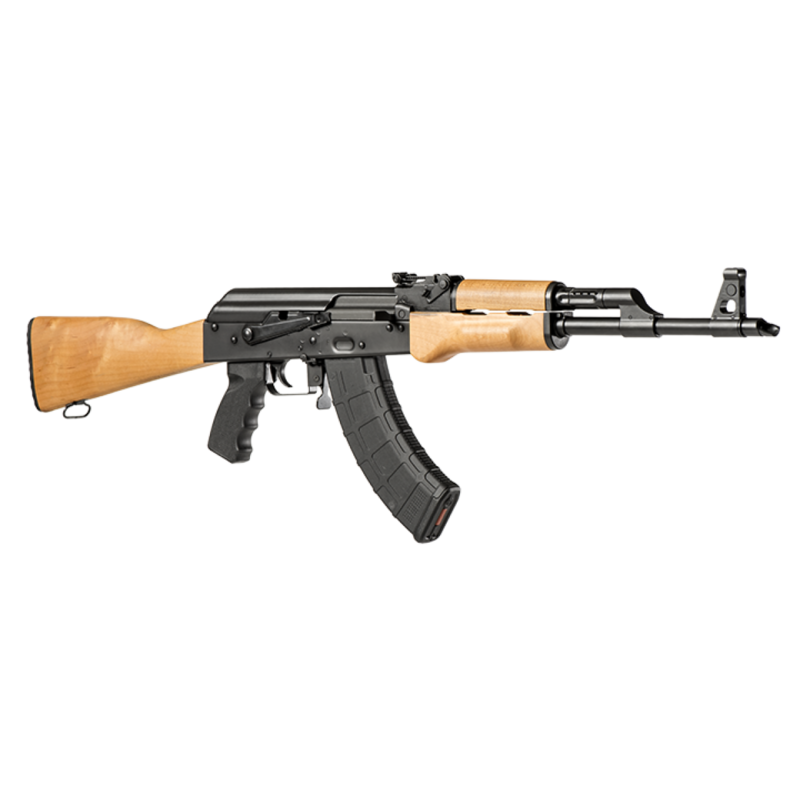 The RAS47 sets the standard for stamped AK rifles and is compatible with AKM features and after market components.The advanced flat side rail offers the ability to have four times clamping improvement over any traditional rail for return to zero capability due to additional surface area contact and indexing points with the AK Micro Dot Side Mount. The RAS47 is one of the most accurate AK rifles on the market. 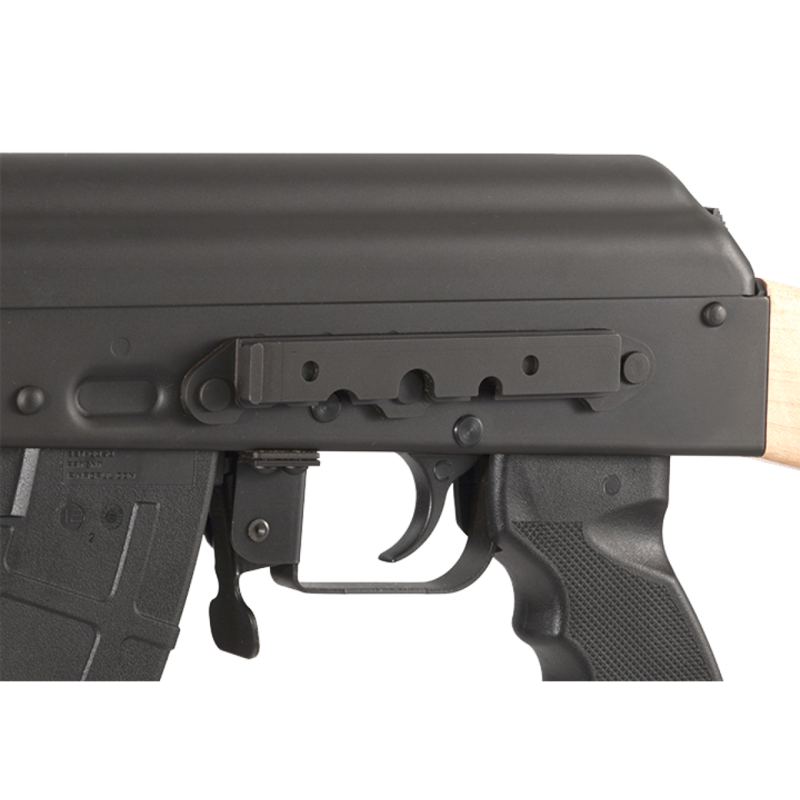 The base model RAS47 is shipped with an elegant maple buttstock and handguard.